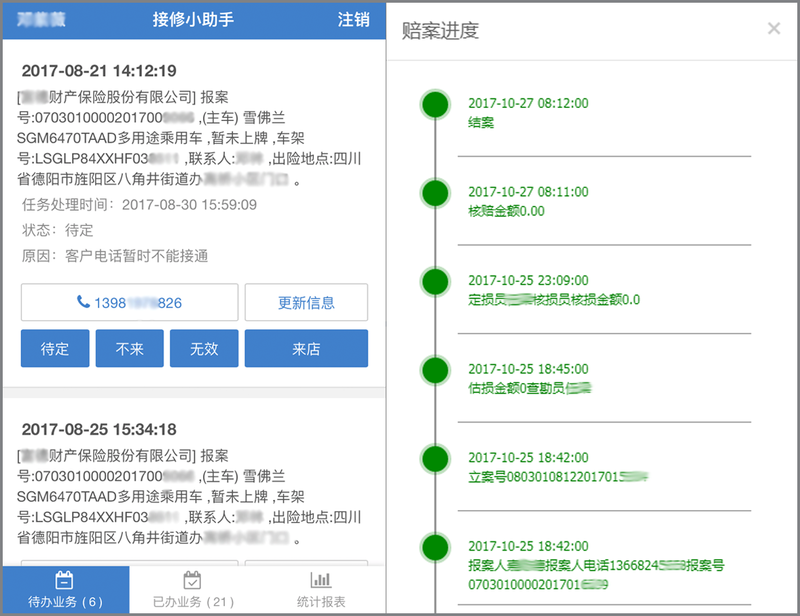 eBaoCloud AutoShop is a one-stop insurance service platform developed for automakers, dealers and financial service companies. The platform connects to insurers’ policy administration systems via API calls and can connect to tenants’ existing management systems in a secure and stable manner. Therefore, tenants such as car dealers and automakers can build their own insurance and customer services systems that provide car owners with one-stop services covering insurance purchases, car repair and maintenance and claim settlement. AutoShop has proven an effective tool to increase customer loyalty and boost brand influence. Out-of-Box: It is a secure, user-friendly, all-in-one Cloud platform that can be accessed from desktop and mobile devices, and integrates seamlessly with tenants’ existing internal management systems. A Customer-centric Platform: AutoShop covers the entire lifecycle of auto insurance business and supports insurance products offered by various insurance companies. Products and services from different business lines can be bundled to add flexibility to marketing campaigns: The platform supports cross product lines and cross insurers package combination, and can add services offered by dealerships and carmakers. Increase Renewal Rate: Users can manage the customer acquisition and policy renewal processes with just a few clicks and significantly increase policy renewal rate. Improve Customer Service and Adhesiveness: Car owners can track claims status and request car maintenance service all in one place, boosting overall customer satisfaction. Products from seven of the top-10 insurers in China are available on the platform; tenants include PICC, Ping An, China Pacific Insurance, AXA Tianping, etc. With AutoShop, users can generate financial statements across multiple policy management systems, making the operations reporting process much easier. It provides 360 degree analytics from either policy or customer angle. AutoShop enables users to bundle and sell general and life insurance products across different insurers, combined with various car repair/maintenance services in sales promotions. Policy expiration dates are automatically tracked. Users can send personalized renewal reminders to customers. Integrated outbound calling. Policy status is automatically tracked in sales agents' task lists. Policy renewal only takes one click. AutoShop offers one-stop claim management and repair services. It features a "repair assistant" mobile tool to drive more repair businesses for car dealers.